an invitation…for crying out loud! A voice crying in the wilderness, make straight a highway for our God! we celebrate this night divine! I had the privilege of writing and reading this for our Christmas Eve candlelight worship. 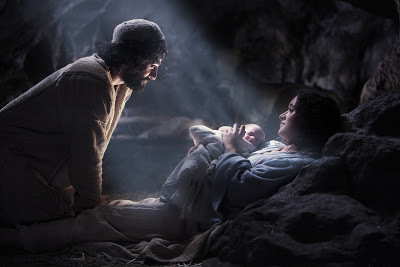 May God bless us, every one…Merry Christmas to all! What does a shepherd know of Light? All: The Christ child has given us LIGHT! This traditional Christmas carol sings a haunting melody, particularly when breathed through a flute. The flowing hymn hearkens back to Cologne, Germany in the 16th century during an evening snowfall. A high Renaissance tune which switches from solemnity to dance-like quality and back again, in half-frozen syncopation. Originally sung in adoration of the virgin’s purity, Lutherans (ever reforming!) later tweaked the words to change its focus to Jesus Christ. As the hope of Israel, he fulfills the prophecies of Isaiah, appearing as the Branch, a stem from Jesse’s root, and the Rose of Sharon. A rose in winter…totally unexpected and glorious! Thanks to Toni for hosting the haibun prompt at dVerse and sharing the lovely photo of her mature quince tree blooming prematurely. “It’s the most wonderful time of the year” NOT for abandoned orphans. If teenage Mary showed preggo today…who would suggest abortion?? Herod’s power trip doesn’t prevent wise guys from following bright star. They say he was born in a barn and “nothing good comes from Nazareth”. Crown prince volunteers to pay ransom for poor peasants; yeah, that’s rad love.